Looking for a top-notch lightweight WordPress theme compatible with Gutenberg? Your search ends here. Developed by Tom Usborne, GeneratePress is the best multipurpose theme you can download right now. I’ve been using GeneratePress Premium version for a while. I tested GeneratePress free version last year. With optimal settings, it improved my site’s performance and loading speed. The base framework felt very flexible and promising, so I had to purchase the GP Premium license. Furthermore, the smooth learning curve makes GeneratePress stand out from the crowd. I’m currently redesigning ChengduLiving.com (a site I moderate) based on the GeneratePress framework. So I decided to come up with a GeneratePress review and let everyone know why it’s one of the best WordPress themes out there. Nb: Please bear with me. My review approach will be unorthodox but based on facts and technical reasoning. Let’s dive into it. GeneratePress is a 100% free Gutenberg-ready WordPress theme developed by Tom Usborne. You may download the free version with limited features and give it a whirl. Go ahead and download GeneratePress for free from their website, or install it through your WordPress administration panel at Appearance → Themes → Add New. The free version surpassed 100,000+ installs on WordPress.org. The theme is routinely maintained and holds a 750+ 5 star rating. These numbers prove GeneratePress and Tom’s integrity as a developer. I’m not going to mention the standard features. Let’s take a look the notable features of GeneratePress WordPress theme. Insanely lightweight. The theme weighs around 887Kb. 100% Compatible with WordPress 5.0 (Gutenberg). A11Y-ready: Fully accessible to the blind/visually impaired. Works well with Elementor page builder and Beaver builder. Icons designed explicitly for built-in elements. Active forum-based support at https://generatepress.com/support/. Hooks (previously GP Hooks) allows users to “hook” custom code into various areas of the theme without changing core files. GP Premium (priced at $49.95) is a plugin that adds a further layer of customizable options to the GeneratePress base theme. You can use your license on unlimited websites. The license comes with one year of updates & support, 40% renewal discount and 30-day money back guarantee. Site Library: Lets you import demo sites and give you a headstart on your next project. Ideal for beginners to WordPress. Color Options: You can take full control of your site colors using over 60 color options. Typography: GenaratePress premium comes with 70 typography options. 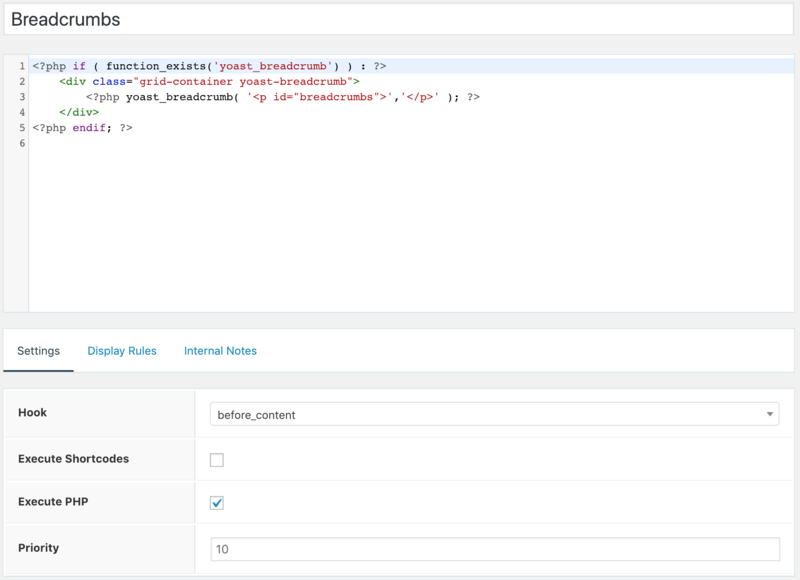 This module gives you complete control over your site text. You can add custom fonts also. Elements: You can create beautiful dynamic page heros via Elements module. GeneratePress comes with an advanced hook system also. A few demo theme layouts are using these features. WooCommerce: Take full control of your WooCommerce store using various typography, color, and layout options. Menu Plus: This module includes features like sticky navigation, slideout navigation (uses vanilla JS), mobile header, navigation logo and more. Spacing: Adjust the spaces according to your need. You can customize the padding and margins of various elements, including your header padding, menu item height and width, content padding, widget padding and more. 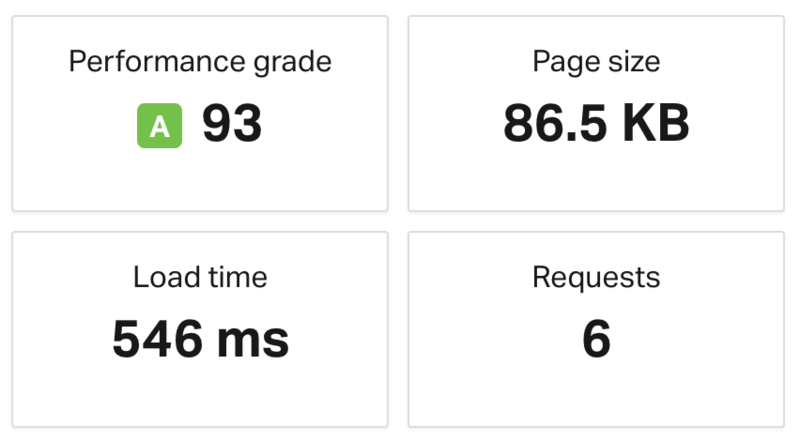 Take a look at the Pingdom Tools’ performance grade for Mighil.com. I’m using Autoptimize plugin on top of GeneratePress to speed up my website. Tested from SF, USA region. I’m not using any premium CDN. CloudFlare is enabled. I know a lot of people prefer GTmetrix over Pingdom Tools. So here’s the GTMetrix performance report for mighil.com. I’m not using any premium CDN service. I’ve enabled CloudFlare HTTP proxy (CDN). My site is hosted on RamNode. I use NGINX +PHP-FPM + MariaDB backend configuration to power the WordPress site(s). I highly recommend RamNode + VestaCP if you can self-manage a VPS. I pay 7 USD per month for my CentOS 7 64-bit server based in LA. Look for the OpenVZ SSD VPS (SVZS) – LA – 2GB SVZS plan after signing up with RamNode. Contact me if you need professional guidance and support. Most WordPress themes out there are “Gutenberg ready,” but Tom and his team at GP had taken steps to integrate GeneratePress with the new editor on a deeper level. Which means you can update your WordPress site to 5.0.x without worrying. Popular plugins like Yoast SEO, WooCommerce, Autoptimize, bbPress, WPML, etc. works great with GeneratePress. You’ve to install GP plugin to use the modules. Once you activate the plugin, you’d be able to edit the premium modules, fonts, colors, layout options and more. 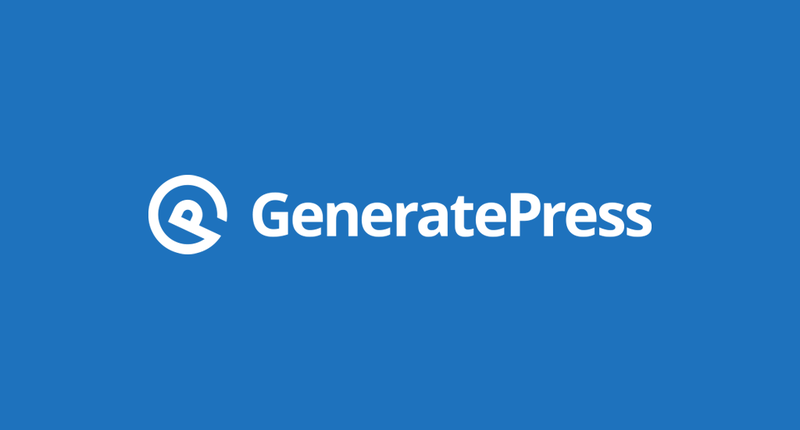 Let me show you how the modules work on GeneratePress WordPress Theme. I use Blog, Copyright, Colors, Elements, Menu Plus, Spacing & Typography Modules. Within this module, you have complete control over your blog (archives and single) section’s display. The blog module is categorized into three sections; Content, Featured Images and Columns. 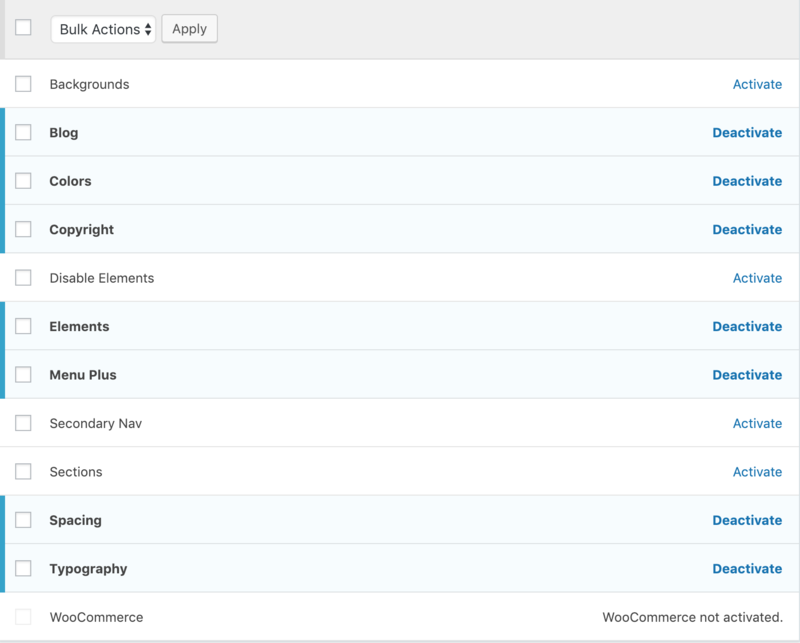 The Content section is divided into Archives and Single; here you can set the display rules for Archives and Single. The Featured Images section is applicable to Archives, Posts, and Pages. ; here you can set the Location, Alignment and Width/Height. Finally, the Columns section lets you display posts in columns (or in masonry grid). GeneratePress introduced Elements module from version 1.7 onwards. This module replaces the classic Page Header and GP Hooks modules. Elements are comprised of Header Element, Hook Element, Layout Element, and Display Rules. Visit this thread to learn more about GeneratePress Elements. This module comes with 70 typography options. From Header to Footer, you have 100% control over your text’s size and customization. You can choose your favorite Google Font or stick with the System Fonts for better performance. Visit (external link) this thread if you plan to add Adobe Typekit fonts to your GeneratePress Website. Appearance -> Customize -> Layout -> Sidebars (personal favorite) minimal now. Within the footer layout, you can set the number of Footer Widgets and fill in the Copyright info. 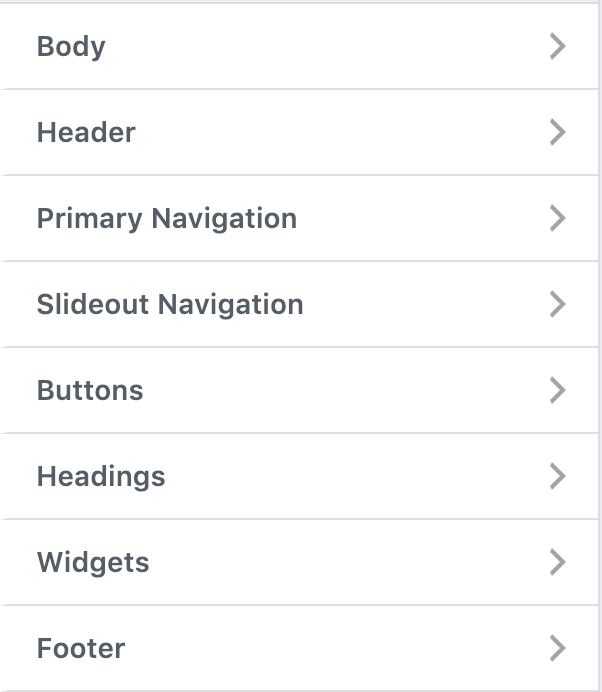 Here’s my Footer and Sidebar layout settings. If you’re serious about blogging. If you want to set up a landing page for a business. If you plan to run a community website. If you’re a developer looking for the best WordPress framework/boilerplate to start with. If you plan to set up a WordPress blog in China. I highly recommend GeneratePress to both WP beginners and experts.